Last week, I logged into my AdSense account to see the Pong game and noticed my payments were on hold because I needed to resubmit my IRS tax information. Based on data provided by the United States Internal Revenue Service (IRS), it appears that you might have entered incorrect tax information for your account. As a result, we've placed your future payments on hold and kindly ask that you resubmit your tax information. I assumed it was just me and that they lost something in their database. I've been getting payments from Google for about ten years now and this is the first time I've seen such a notice. So I plugged in my information and forgot about it. The thing is, it seems much more wide spread than just myself. A WebmasterWorld thread has publisher after publisher calling out the same thing. 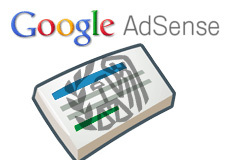 One said, "I got a notice from Google adsense today." "Nothing has changed. Not my name, my address, my EIN - nothing. I went in and checked everything and it all appears correct. So I'm not sure what this is about," he added. Did you see this? If not, make sure to log into your AdSense account and make sure everything is good.